Home Blog Get Your Free Hoo-rag Floating Keychain! Get Your Free Hoo-rag Floating Keychain! With a sun protection rating of up to 30 UPF and moisture-wicking material, the Hoo is a no brainer for hot summer days! This week, keep your pretty face (and neck!) protected with a new Hoo-rag and get a free floating keychain. Perfect for the boat, this keychain will save your keys from a watery demise on the lake, ocean and in a bubble bath – hey, you never know. 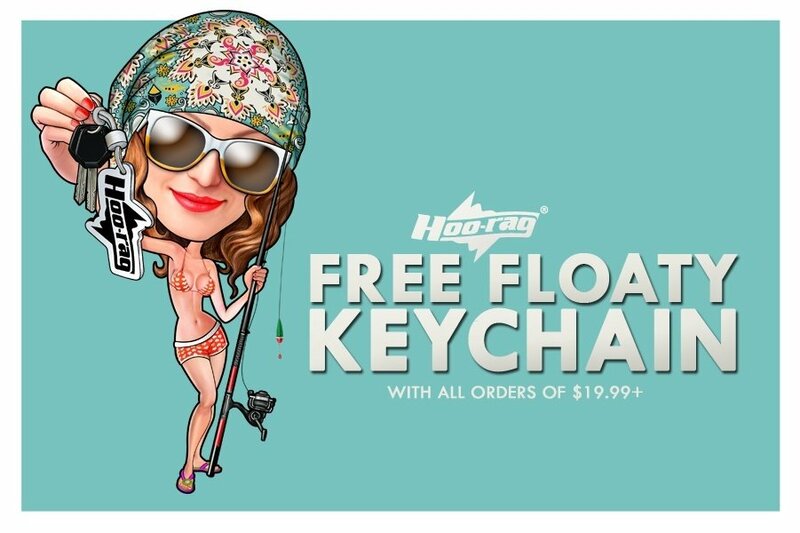 All orders of 19.99+ will receive a FREE floaty Hoo-rag keychain from today thru Sunday! If your order is eligible, you’ll see the keychain added to your cart automatically. Promotion is valid Wednesday 7/22 at 9 a.m. EST thru Sunday 7/26 at 11:59 p.m.. Not valid with any other offers.